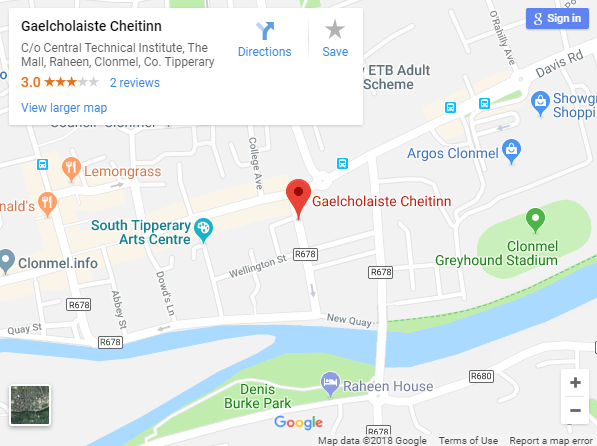 Scoil úrnua is ea Gaelcholáiste Chéitinn le foireann óg fuinniúil. Tá sé suite i bhfoirgneamh nua agus tá na seomraí, idir ghinearálta agus phraiticiúl,nua-ghléasta leis na háiseanna agus an trealamh is déanaí. Táimid tiomanta don oideachas is fearr agus is fairsinge is féidir a chur ar fáil d’ár ndaltaí uile. Cuirimid réimse cuimsitheach ábhar ar fáil ag leibhéil an Teastas Shóisearaigh agus na hArdteistiméireachta, agus réimse leathan imeachtaí seach-churaclaim freisin. Seo an naoú bliain dúinn ar an saol. 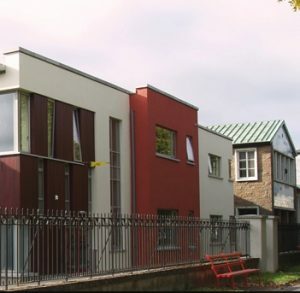 Gaelcholáiste Chéitinn is a newly established school with a young and energetic staff. It is situated in a new purpose-built block, with both general and practical rooms fitted out with up to date equipment and facilities We are dedicated to providing the best and broadest education possible for all our students. We provide a broad range of subjects at both Junior and Senior Cycle, and a comprehensive array of extra-curricular activities.